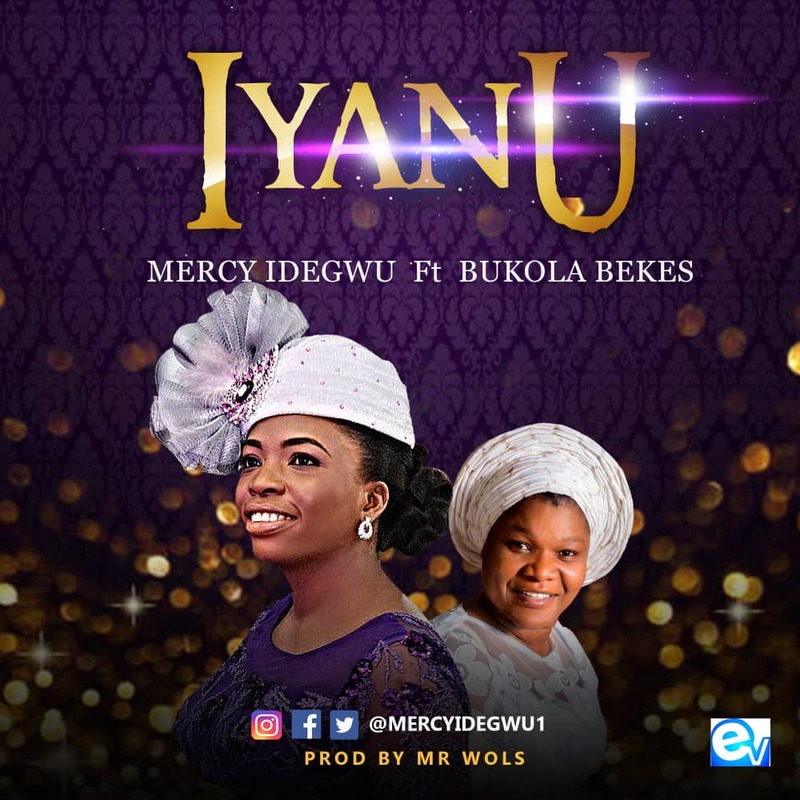 Mercy Idegwu, a popular Nigerian gospel music minister, teams up Bukola Bekes in this highlife themed song titled “Iyanu” produced by Mr Wols. The song which featured in Mercy’s 2nd studio album titled “Dominion”, pops out as the favourite as it is currently receiving good reviews on top blogs and extensive airplay on radio stations. Iyanu, a title which finds its root in Yoruba (a language largely spoken in the Western part of Nigeria), can be translated to English as “Wonder”, “Amazing” but within the context of the song “Miracle Worker” offers the best interpretation. It is sweet worship and dance vibe, that pays homage to the mighty power of God, accompanied with sing-along lyrics and references to the miraculous in our lives every day. Other tracks within the album include Dominion, Yahweh, Idinma, How Great You Are and Song In The Night, there’s a song for every preference to savour. Inspired by the love of service to God and the need to reach out to hearts yearning for God, it’s no surprise that her albums and performances have been received with a warm reception. With the Iyanu music video dropping any moment, fans are in for more than the average entertainment experience. S.T.O aka Segun Tosin Odeyemi drops another smash hit single titled “IYANU”(wonder) featuring GameMan and OkeySokay (Produced by S.T.Obeats). IYANU is best described as a fusion of Afro and Rap, Its a perfect blend and a unique concept, an unusual arrangement and definitely a fantastic collab. There is no doubt S.T.O has carved a niche for himself. A prolific artiste and producer. His songs have cut across to many people far and wide. After the successful release of S.T.O’s debut album titled “SETTLE MY MATTER” which includes hit songs such as “YOU TOO MUCH”, “FOLLOW ME DANCE”, YOUR LOVE TO ME just to mention a few. He set out to show that he’s got much more to offer. Listen, download and share this amazing musical experience. Brand new single (IYANU) wonder.